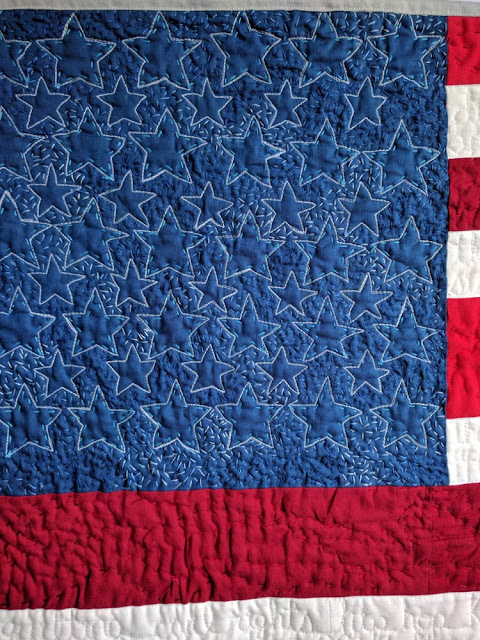 Quilty Habit: Why Make Political Quilts? Recently, in the aftermath of making my Women's March quilt, some asked why I'm suddenly making quilts with political messages. I thought the topic warranted at least a blog post, so here goes. One of the best parts of making is the freedom to create whatever I want. I rarely follow a pattern because I enjoy creating my own designs. If there is a suggested color palette for a pattern or challenge, I tend to shy away from that and choose my own colors. That being said, I LOVE that quilting gives me opportunity. If I find a reason to make a quilt, I can figure out a way to make it. That is empowering! Lately, I've felt empowered to quilt. To spread a message. To thank someone. To raise money (more on that soon). To submit to exhibits. These are reasons many of us create at one time or another. In terms of speaking out about politics, I don't have qualms about sharing my beliefs online. My goal is to never be hateful but hopeful. I create with a positive spin on something that angers me (the above quilt is a sneak peek of one I'll be sharing shortly). If you feel isolated by my political quilts, I'm sorry that you feel that way, but I'm not going to change who I am or silence myself to satisfy others. You can simply choose not to read and/or comment. I'd be sorry to see you go, of course. If you have different political beliefs than me, it's really okay. It doesn't matter. I still want to be your friend and chat with you. The moment we stop talking with people who believe differently than us, we enclose ourselves further into our bubbles. That's the opposite of what we all need. "There's too much going on with politics! I'm so tired of hearing about it, please don't contribute further" (I'm tired of hearing it, too, which is why I'm inspired to make art. Political issues aren't going anywhere. Instead of closing myself off, I'm finding ways to work through my thoughts. This is the way I've chosen to cope. It's not better or worse than another's way, but it makes me happy). -If political quilts make you uncomfortable or make you think, that's the point. Just because a quilt does that doesn't mean it's any less of a quilt than one made simply for fun, or that we should discount it or silence the maker. When you walk into an art museum, do you see paintings and sculptures inspired by political events? Do you see art that makes you uncomfortable? I bet you do. I certainly do. Why should quilts be any different? Further, I think it's wonderful that The Modern Quilt Guild exhibits "statement quilts" in their annual modern quilt show, QuiltCon. I'm assisting with United We Quilt, an ongoing show of progressive work online, which you can submit to for free. Museums and quilt shows all around the United States will be exhibiting the Threads of Resistance traveling show in the upcoming year. So many quilters have so much to say. You have the power to engage in it too, if you so choose. Thanks for reading, and as always, I'm willing to chat with you further. Thanks to all who have been so supportive of my recent direction of quilting (it's certainly not ALL I'm making, though!). 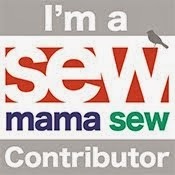 As always, happy sewing to you all. Keep on expressing yourself!! Do not let your voice be silenced!! I don't know you but I am so proud of you for making and loudly sharing these political quilts! I love the quilt. Thanks for speaking out. Yes, Jess, amen! I love your responses to other's thoughts against politicizing quilting. It's ironic, of course, since quilts and all crafts have been political and had agendas for ages and ages, but what you wrote was also thoughtful and fair. Art and craft and quilting can be whatever we make them. If that's fun and lighthearted, so be it. If that's a bold statement of belief, equally as wonderful. To each their own. And I agree with Kitty - love the "hopeful not hateful!" Jess very nicely put. I agree if we all have the same beliefs then why bother talking to each other, we know what they will say next. Quilts have often been "political." I recall reading an article that said before the Civil War, women used quilts of different patterns hanging on the clothesline to let escaping slaves know which houses were safe houses. Eleanor (Quilt in a Day) Burns did a wonderful series on the topic once. Keep making your quilts. We need you. Quilts and other art forms are indeed, sometimes political, and rightly so. The Civil War quilt code quilts you mention, however is a long debunked mythology. I've not been reading my usual amount of blogs lately which has more to do with my crazy life than blogs but I was drawn to this post precisely because it was about politics and I knew it would be interesting.I don't find the post to be about politics per se, it's more about why you make your statement quilts and I find your post inspirational. Like many people I tended for the majority of my life to hang around with people who think like me and it's through quilting that I have found a friend whose politics are sometimes the polar opposite of mine.Sometimes we have rip roaring arguments in car trips but we still have a very strong friendship. This is a well thought out response, and I was nodding my head to so much of it, Jess. I think that spreading hope and talking about issues are going to be the key to making progress on any and all topics in the future. more power to you! when it comes down to it you are creating YOUR quilts and sharing them on YOUR blog and no one has the right to diminish YOUR creative work, whatever your message may be! 1. It's your blog, talk about what you want or need to. Otherso have no right to advise you on its content. 2. Inspiration fuels creativity, whatever form it takes, and should never be stifled. I think to limit our creative expression is to actually cause damage to our spirits, as do hate and intolerance. 3. It baffles me that although Nature has made us all different individuals with our own free will those are the very qualities that we are still unable to accept in others. I feel this is at the very root of all the hate and violence that has plagued us since the dawn of time. I'm not going to stop being someone's friend or enjoying the things we share just because some of our beliefs differ. If I disagree or don't like something you say, there are scroll and click features on my tablet. Free will goes both ways. And I won't even scream at you about it because no every statement requires a response, let alone a war cry. I choose my battles. Political quilts have been a part of quilting history going back years and years. Black slaves made quilts that expressed their plight. The AIDS Quilt Project is a perfect example of bringing the loss of so many lives to the attention of the world. Quilters have always been political and I hope they will continue to be. Love your quilts, your quilts' messages, and the fact that you express yourself through the medium of quilting! Quilts ARE fun and relaxing to make, but they can also feed our hearts, minds and souls. Brava Jess! Keep speaking out. What you say and how you say it are unique and powerful! Thank you for taking the time to articulate your message and your thoughtful responses to critics. Personally, I find that when a piece of artwork makes me uncomfortable, it gives me the opportunity to learn more about the experiences, opinions and emotions that the maker is portraying. Art is a great impetus for conversations and understanding differences...quilts included! There is way too much hate expressed in this world and not nearly enough hope, encouragement and understanding. Your tone has always struck me as being hopeful and definitely not hateful. Whatever medium we use, this world needs more people willing to talk about their beliefs and listen to those who believe differently. Never change who you are because of people who are trying to tell you to change. Jess-- we all have freedom of speech in Canada and the US. There is no difference in creating a "political" quilt versus a "political" painting, a magazine article, or grafetti. The message is there - you just happen to be using three layers of fabric (aka as a quilt) as your medium. I say keep on making. I'm totally sympathetic to people who say, "but quilting is my refuge from politics! I don't want to see politics here!" I feel exhausted and stressed by it, too. If that's the way you feel, though, you should probably just unfollow the blog. But telling creative people what they can and can't make? Just no. 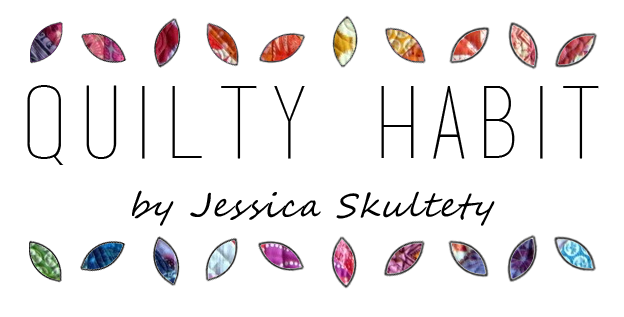 It is your blog, Jess. Say whatever you like, Believe what you want, always learn though. Facts, not trends or opinions. There is far too much opining, and supposing on "news" stations across our country. The media is far too biased. So is Hollywood. That is called corruption. So with that, I believe in loving our neighbors, pulling people up and out of welfare, and teaching people that life is a gift from God. Every thing that you desire, is available to you if you get up and go. I do not like hating. It hurts hearts. Our country is more divided in the past 8 years than ever ever before. It is best for people to not behave like junior high bullies and tear people down over petty issues, that is hate as well. Women already have the same rights as men. In the USA, every citizen has the same rights. People that come here illegally do not have rights as a citizen. There is no reason for groups to gather using sources like Craigs List to pay for community organizers to travel and protest in areas that they do not live. Destruction of property is costly, and serves no purpose except to diminish the cause. Making degrading and taunting signs is not good for our children. They are watching and they are learning that this is the new limit. It is okay to provoke and intimidate and be obnoxious. 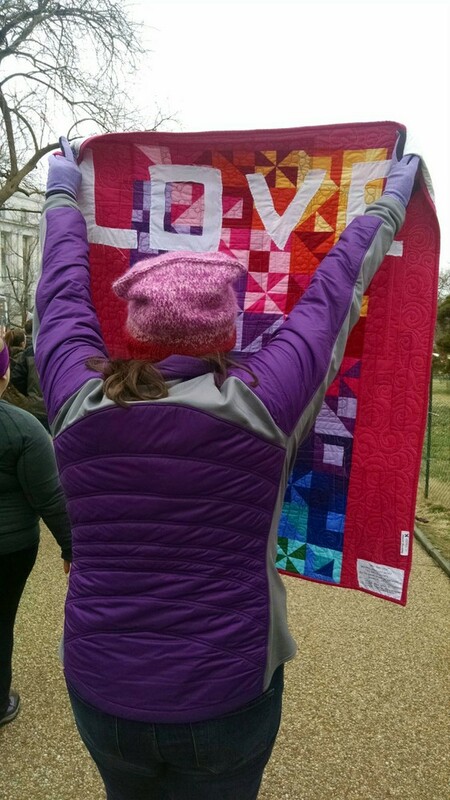 Make your quilts and go to the protests and gatherings. You have your life. Always live by the example that you want others to follow. I grew up in Europe and ever since I was a child, we were in every country, required to carry ID and citizenship, and reason for moving about countries.. That is still the rule today. Leaders are now bullied to just open boarders and let everyone in. My parents country and my country, Holland, is not Holland anymore. It is a mix of so many cultures and no one wants the others to be around. There is a limit to tolerance. The idea of radicals is to tear down culture. Protesting may be a right, but it does not promote hopefulness, or peace. My Catholic upbringing said don't ever talk politics or religion. But those are things that most of know and have a strong belief system about. Right and wrong, black and white, up and down. Someone will always have a different opinion. It is important to be able to verbalize our thoughts and to listen with respect and then, if appropriate, respectfully agree to disagree. If we can't verbalize our beliefs we will end up like other countries where individual thoughts and actions are considered wrong and are punished. Thank you for this post...I too have found myself creating more quilts in response to current politics. While new territory for me and some uncertainty as to how to merge with my own quilting as well as how my quilts will be perceived by others, I appreciate having this creative outlet to address my concerns/viewpoint. 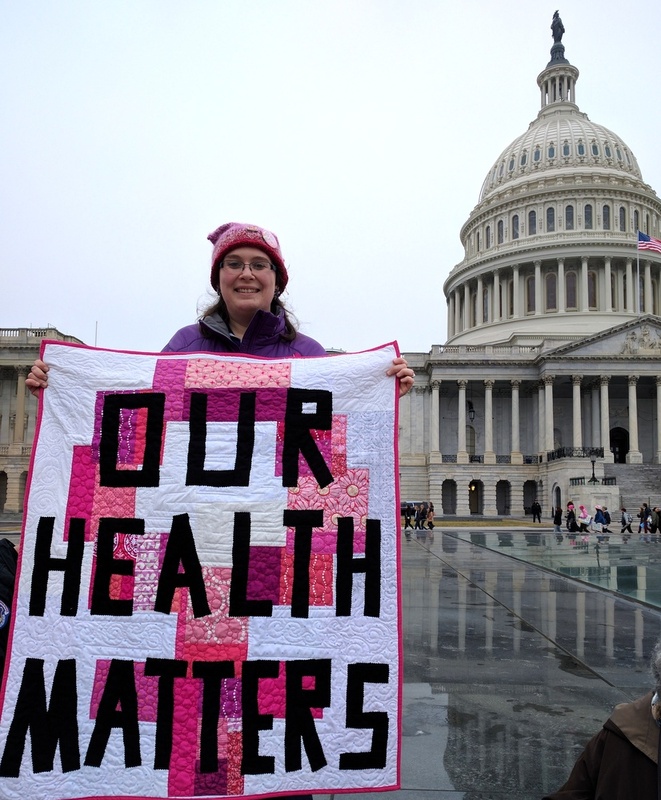 Thanks for sharing your courage to create political quilts! I love your political quilts, I'm wondering if I should move down that path myself, though I'm enjoying making quilts that express me at the minute. I think there is room for a lot more political debate. We have the same issue in the UK with a right-wing biased media muddying the waters and spreading lies. Unfortunately the left seem to be yelling into an echo tank. The more ways we can get political views out there to provide an opening for debate, the better. All too often the right seem to shut down political dissent by labelling people leftist liberals (they seem to think it's an insult), it's kind of hard to shut down a quilt! Great post Jess! Quilting is art; we draw from many different experiences and views and express ourselves in our work. Quilt on! Freedom of speech is one of most important freedoms we have in the US.Using your art to speak is just as important as the pen or spoken word. I think what is important, is you have started a conversation. I love looking at your quilts. They inspire me to think in new ways about quilting and now about the value of open/free expression of ideas. Thank you! Well said - and I look forward to seeing more of what life inspires you to create. Fabric is our medium - be it "paint by number" or our own creations. I love the opportunities this offers for art. Thanks for bringing this up. 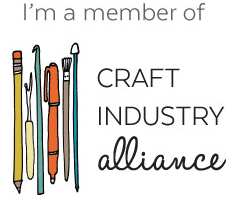 I believe quilters - whether art quilters or crafters- share a very approachable medium. The very tactile nature of fabrics and texture of quilting recall something people have wrapped themselves in and felt cozy about all their lives. So when a quilted piece speaks more loudly, it does upset some folks. But it is the very "intimate" nature of quilts that allows them to open conversation and ask questions of people who might never venture into an art museum or spend time digging into the background facts of politics. 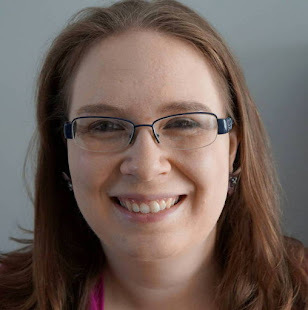 As an art quilter, I know what it feels like to be driven by a message erupting from inside me, and I like taking the role of wrapping others into the conversation as you do. Quilts' ability to soften the first moment of confrontation to gain access into the minds of those who may not like being asked directly is precisely the strength of the medium. What's funny to me is that I have often made quilts about frustrations, fears, or challenges, and these pieces have been welcomed by those who might hate "political" quilts. But aren't political quilts just about broader frustrations, fears, or challenges? 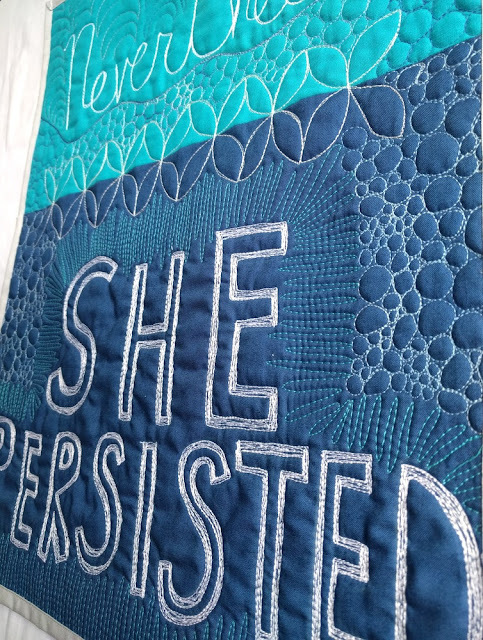 I am very proud to have a piece that will be traveling in Threads of Resistance, but before it "left" on this journey, I took it to my local quilt guild, a place where show and tell rarely includes anything other than perfectly pieced patchwork or intricately traditional applique. Everyone was polite, and I apologized if I offended. But I thought it was important to snip a tiny hole in some comfortable ideological bubbles... just enough to get people talking. Thank you for doing the same here. Why not make political quilts? Someone is going to critique your work in some way. Might as well open it up for a conversation. Support our president, he was elected by the people. Be an American. She is being an American by using her first amendment right. She is standing up for what she believes in as well. What is more American than that? I can't help but wonder, with all due respect Key Elements, if you have supported every president you've seen in office?